Welcome To The Practice Plans Area! Download PDF practice plans & watch performances by our students & teachers to inspire your practice sessions. 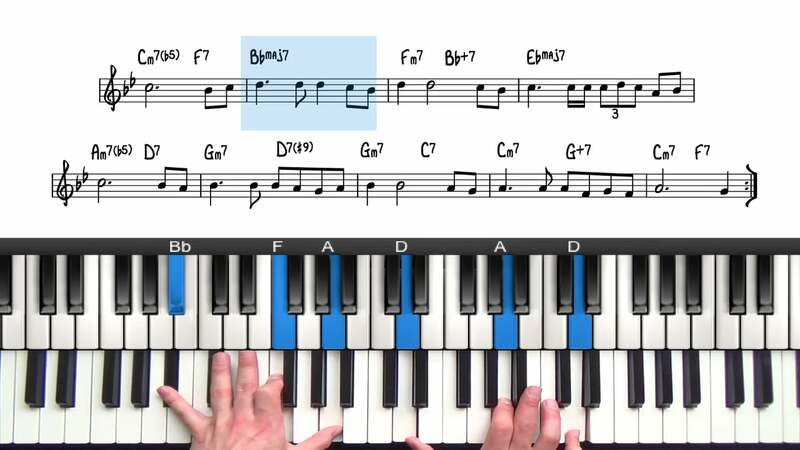 Discover useful tips, tricks & exercises on harmony & improvisation. For many of us, we have busy lives, lots of commitments, and a limited amount of time to dedicate to practicing jazz piano. 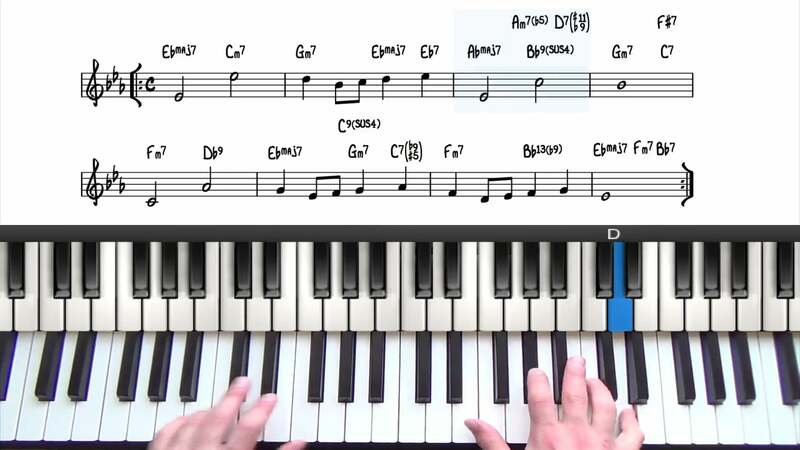 The goal of this category is to create a collaborative environment for sharing our practice routines and schedules, as well as general tips and advice from the PianoGroove Community. If you have any of the following questions… you are in the right place! What topics should I practice as a beginner? Should I practice theory? or jazz standards? Where can I download practice plans? What is transcription? And how can I get started? How can I learn to improvise? hi guys… thanks for all your suggestions and encouragement to get this Practice Plan Initiative up and running. Such a great idea! This is very early stages, I have lots more ideas to build out this section and create an awesome resource for all of our community. Thanks so much creating this topic ! Having a bit experience in three others internet sites of learning piano helps me immediately finding the gaps in some area . The three others sites havent got an area of Practice plans and neither Practice groups , i discover this in the bass learning SBL and i m pretty sure it is the most important thing in the process of learning an instrument on internet and keeping the motivation going. Internet give us the possibily to share much more than in even a real live course with other students who have same goals . Only in big institute of learning jazz like Berklee where students can get in little groups to practice together, and all students talk about the importance of this in their journey in studying jazz … and this must be even more effective with real relation. But internet should try to reproduce that , to give a plan and in my opinion little groups of 4-5 students with same motivation. Other interest for you would be to keep the same students during more years so you will know there even better, you will get some more money for building the site even stronger . Another gap in your great site is we have no direct live session of learning ; and this should be another great direction … sure must be a little time consuming too but the technology make this now possible. Or another more easy way is to share video of our playing where we are asking something and to have reply in videos , on SBL site Scott give every month a student feedback video. first learn the melody ,2nd the chords progression, 3rd … for instance. Awesome thanks Pierre, lots more to come… I’m really excited about this new section of the forum. Check this post out Pierre if you havn’t already, this is a process that I find to be very effective. I think this will be different for everyone based on their level and ability. 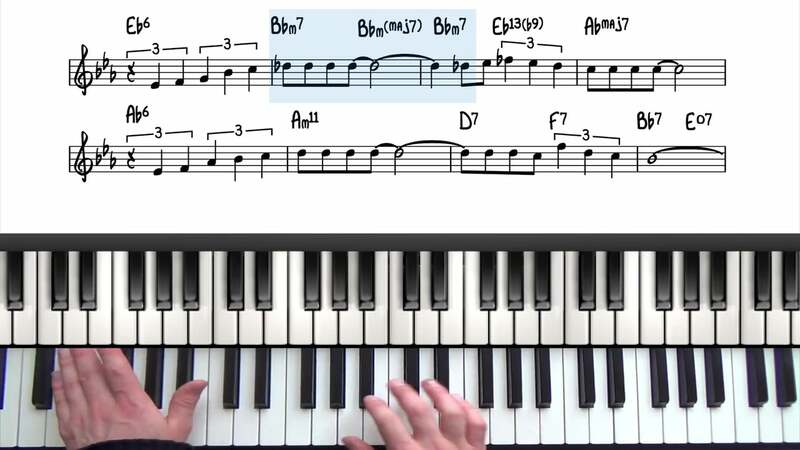 If you are brand new to jazz piano, then I would recommend simply studying the beginner jazz standard lessons, and copying the arrangements note-for-note. The above process is more of a self-guided approach, which is better for late-beginner/early-intermediate students. The Importance Of Listening, Try To Listen To Every Recording You Can Find! Listening is such an essential part of learning jazz, every spare moment in the day should be dedicated to it. I often try to listen to every recording I can find for the tune I’m working on. Using tools like YouTube and Spotify, I can do this over the course of a few days whilst I’m doing other tasks like driving, cooking, or whatever. If you are learning to play a new tune, the most elementary thing you can do - before even picking up a lead sheet - is to listen to the famous recordings of the tune. This will naturally lead onto transcribing your favourite parts, and before long you will be developing ‘your sound’ in the direction you want to take it. That is the beautiful thing about transcription, instead of being shown something of the teacher’s taste, you are actively seeking the learn the material of your own taste. Yes i agree the current structure will get confusing. I need to implement @ivan’s suggestion for Beginner / Intermediate / Advanced. And then also number them starting with ‘#1’ as the easiest. Yes thinking about it, we should have all these lessons in the same thread. I will combine the threads today. And in each of thread, it will contain all of the exercises listed 1 though 6. Great idea Pierre. I will implement shortly. How would this be different to the current lessons?.. For example, the plan highlights the following lessons where I walk through how to arrange the tune. I’m more than happy to make an additional lesson, but I want to make sure that I’m not simply repeating what I have covered below. I appreciate that the “30 Minutes Jazz Standards” section of the plan needs more focus/directions, but I’m unsure how to do this - that’s the only thing I’m unsure on, I think the rest of the PDF document is great. Misty is written in the key of Eb major and follows an A1 A2 B A2 Form. The tonality is primarily major with some altered harmony sprinkled in here & there. One of Americas greatest ballads... the most famous version of My Foolish Heart is undoubtedly the Bill Evans trio version. 'Somewhere Over The Rainbow' has also been played by many great jazz musicians over the years. In this lesson we create a solo ballad arrangement. Great job this structuration !! But I’m afraid the extended chords part might frighten a beginner in jazz studies. I think it should be me more for intermediate player, to avoid overwhelming the student who just begin. The basic part is already a pretty big journey. Even you introduce them in the beginner jazz standard, not sure a beginner should spend too much time on it . But know we can see a big chapter is missing : improvisation . The biggest and challenging part ! Good point Pierrot. Baby steps are useful for the beginner to keep them motivated and to see their achievements early in the learning process. The Importance Of Listening, Try To Listen To Every Recording You Can Find of the tune ! transposing some some part of recording we love, and transpose in some keys. Pick a jazz standard that hasn’t been covered on PianoGroove. Listen to every recording of that standard that you can get your hands on. Use YouTube, Spotify and literally watch/listen to every arrangement you can find. Do this for at least a week before even attempting to play it. Also find a good vocal version if there are any available, learn the lyrics and pay attention to the phrasing used by the singer. After listening to every recording you can find, you should be able to sing the melody to yourself and have an idea of the harmony. Make note of anything you like in mm:ss (minute:second) format. This could be chords, melody enhancement, rhythm… anything! Then try to create a basic arrangement. Start with root, 3rds, 7ths, and the melody on top. Play all the way through. Then you must emulate the bits of the recordings you like. 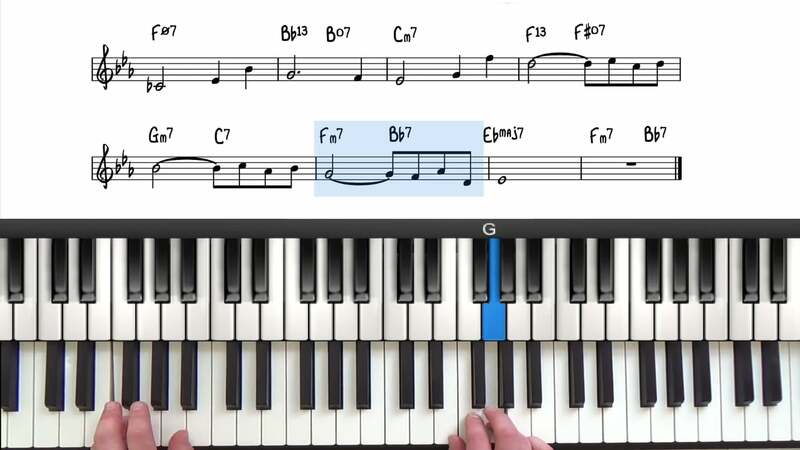 After analysing some of the parts you noted down in mm:ss format, you should be able to relate it to the theory covered on PianoGroove, such as USTs, Dominant Passing Chords, Sus Chords, etc… … all of these things have very unique sounds and so that above process is training you to recognise them. The end goal of the PianoGroove course is to help the student become self-proficient in learning jazz piano. 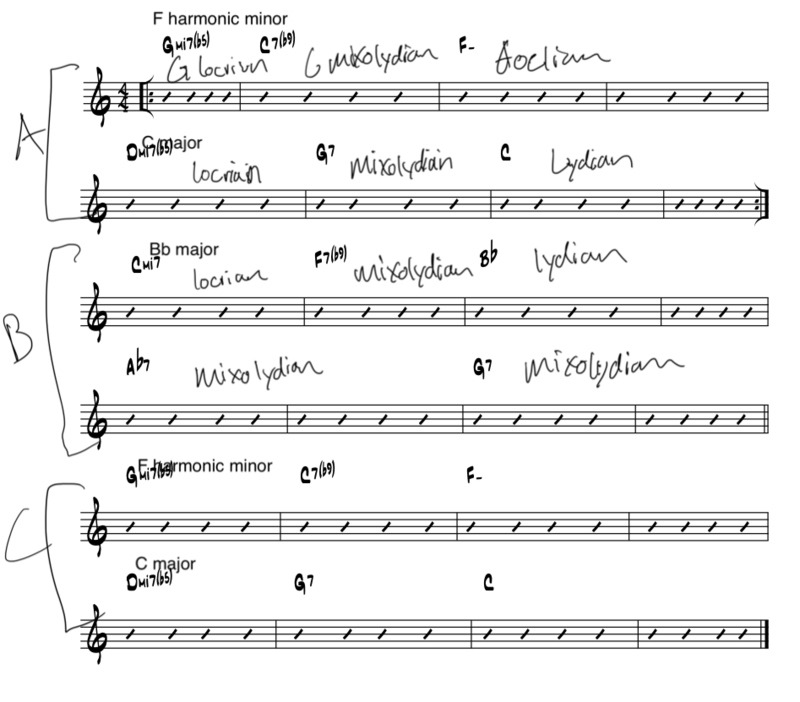 I’ve broken down the things I was taught and that I found to be effective in learning basic jazz harmony. Brilliant thanks for this Pierre… you got my cogs turning on how this could work. I can now go into each thread and update it when new lessons are added. For example, a beginner lesson on “Just Friends” will be added shortly, I’ve just finished editing, and so I can simply add it to this thread. The process I outline is a good structure to learn and develop our improvisational abilities.